In her demanding work as residential real estate sales professional, Roni Cowan does so much more than merely sell a home. She thoroughly educates buyers and sellers on the many intricacies of the process and options available to them, all the while protecting their best interests to assure the utmost results. Throughout her career, she has developed not only a keen understanding of the industry but also an extensive knowledge of the city. Highly motivated and creative in her thinking, Roni competently matches customers of all kinds to the neighborhood and home best suited to their needs. She respects people's individual needs and empathizes with the major emotional and financial decision they undertake when buying or selling real estate. As such, she is committed to her role as facilitator, always striving to streamline the transaction from showing through closing and inject a bit of humor along the way. Roni's sales have included apartments and townhouses of all sizes, in all locations, from mid- to multi-million-dollar price ranges. Sellers who rely on her marketing savvy benefit from the widest possible exposure for their properties, and enjoy prompt completion of their deal thanks to her flair for effective negotiation. 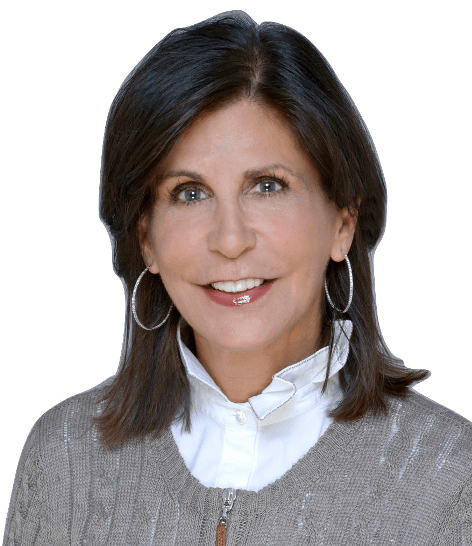 Because this native New Yorker and 25-year Manhattanite takes her sales territory and her work so seriously, she continually earns wholehearted accolades, referrals and repeat business for her diligent efforts. Personable and easy to be with, Roni has been a natural at sales since selling hair care products door to door. Her career came full circle years later as her focus turned to what was inside those doors beautiful properties! A current Upper East Side resident with her husband, son and dog. She has also volunteered for many years at Memorial Sloane-Kettering Cancer Center and currently does pet therapy at Mt. Sinai Hospital. Roni is on the Advisory Council of the Westhampton Beach Performing Arts Center. "Having been fortunate in both my life and career, I have decided to share a portion of my earnings to help others. When I sell someone's home or help a buyer find a new one, it is inherently rewarding for all parties, but by taking it a step further, I can show my appreciation in truly meaningful ways by giving to my customers' favorite charitable causes."